Tap trailers do more than dispense beer and give your guests a special station at the wedding reception to mix and mingle. Happy Trailers Refrigerated Rentals also allows you to have an on-site cooler for other items that you may need to keep cold like flowers, soft drinks, wine, food, etc. This eliminates the need to worry about how you’ll keep things cold and saves you money on ice, too. The idea for the business came about back in 2009 when Rob and his wife, Andi, got married and couldn’t find a refrigerated rental for their wedding. While they managed to figure out a way that allowed their guests to enjoy cold beer, it was far from being the ideal solution. Even though it took them a number of years to start the business, they still saw the need for this service, especially since the craft brew industry had begun to grow so immensely. Tap trailers are for folks who love craft brews and want to offer a selection of beers to their guests in the easiest way possible. I’m excited to share this behind-the-scenes interview about how and why Happy Trailers Refrigerated Rentals got started here in Boone, NC. In this series, I want to showcase passionate professionals in the industry that help bring your wedding day dreams to life. There are real people behind these businesses and I want you to get a glimpse of how they got started and why they do what they do. I hope you enjoy this behind-the-scenes interview series. I’m so excited to spotlight these High Country Creators. We are originally from the Midwest where Beer Trailers are popular. When we couldn’t find one to rent for our wedding in 2009, we thought it was a much-needed service in the High Country and one that could be successful. That is when we first started to think about creating this business. As the Craft Beer industry began to grow by leaps and bounds, we knew that folks would want to have more than one beer on tap at their celebrations. The need for a small fleet of beer trailers became more and more evident in the High Country and we were excited to be able to fill that niche. My wife and I already owned Miss Match Rentals, a local vintage dinnerware rental company, and were heavily involved in the local wedding industry. 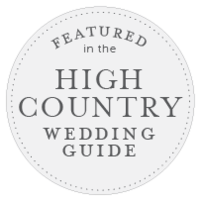 Our involvement with the High South Wedding Professionals group made it easy to promote this additional service among the local, highly knowledgeable, existing service providers. Having leftover beer in the kegs–just joking! We like to rent them a practical piece of equipment that can be used for more than just beer. It can be used for white wine, flowers, desserts, soft drinks, etc… and eliminates the need for ice and coolers. A Tap Trailer allows you to have access to a small, walk-in cooler on-site. Furthermore, I love to help people select beers. Most people know what they want, but I do like to make suggestions from our local brewers and to work with the local breweries and beer stores. Peabody’s, Boone Shine, Blowing Rock Ale House, and AMB are some of our favorite folks and we enjoy referring clients to them! Placement of the trailers is always a challenge. Our trailers cannot be moved by hand and need to be close to power. Taps are only on one side. I want to position the trailer in a way that is easiest for guest access. At times, this takes some work! How do you think Happy Trailers can be used to tell a unique wedding story? If you are into craft beer, you will be able to have multiple selections on tap. This provides your guests with distinct styles of beer on tap at all times. It makes for a great place to gather. Everyone wants to be around the beer! We would have rented a beer trailer. We carted a homemade kegerator and 2 kegerators from Peabody’s to our venue in a U-haul just to have 3 selections for our guests. We had 8 kegs and had to maintain them on ice in a very hot late August weekend. If we had a trailer, we would have been able to work with Peabody’s and had the kegs picked up, hooked up, plugged in, and ready to pour cold. It would have been a million times easier than what we went through. Hire a clean up crew. We work closely with Peabody’s, AMB, Booneshine, and Blowing Rock Ale House. Caterers love to have us on site for easy walk-in access. Gamekeeper Catered Events, Reid’s, McKethan Brothers, and the Frugal Gourmet are some of the local caterers we work with frequently. Our trailers look great at all of our local mountain venues! We are often at White Fence Farm, Camp Sky Ranch, River Run Farm, and Overlook Barn. We were married at Sugar Hollow Retreat and always love to return there! Jessica is easy to work with. She is flexible, creative, and takes amazing pictures! Jessica works really hard to capture every detail of your wedding day so that you can look back at your pictures and relive that day years later!